Scott Sibbald I use art therapy for my chronic pain as a result of Failed Back Surgery, Disc Degeneration Disease, Permament Surgical Complication & Nerve Damage. If a placebo works then use it as often as possible. 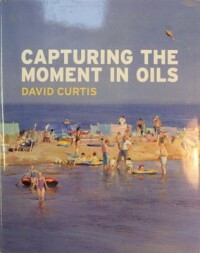 David Curtis’s book “CAPTURING THE MOMENT IN OILS” Brilliant so I just had to share it. My pain and why not everyone understands!